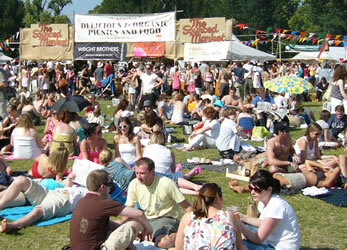 Fairs (known as fêtes, pronounced "fates") take place in many village greens or parks across the UK during the summer months. 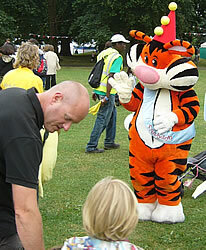 Often they are used to raise money for local charities. 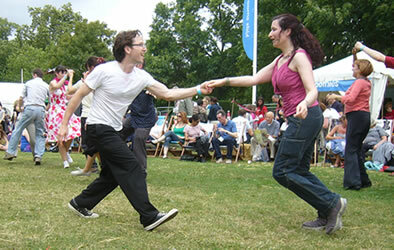 There are many traditional games and activities at these events, some of which are shown below. 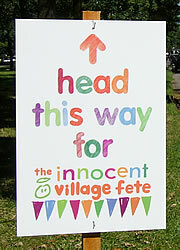 The photos on this page were taken at the Innocent Village Fête in London's Regent Park in 2007 and 2008 (sponsored by the company Innocent Drinks). 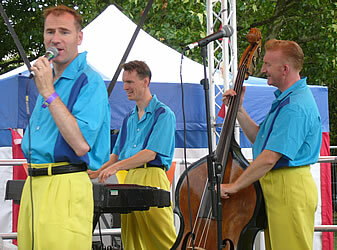 This event will not take place in 2009 or afterwards, but there are many village fêtes across the UK with similar entertainment. 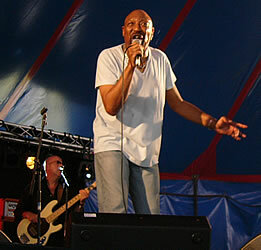 Live bands often play during a village fete, usually on a stage set up inside a tent or on a bandstand. There may be some dancing displays. 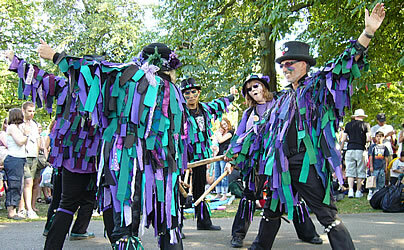 Local Morris dancing groups are often invited to perform. 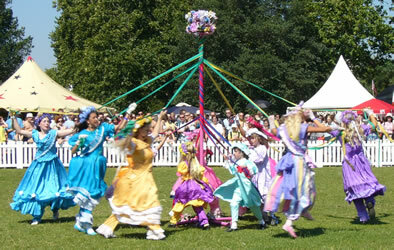 Another tradition is Maypole dancing. 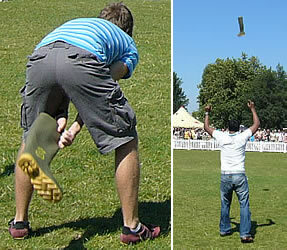 - Welly wanging: you swing a Wellington boot between your legs and try to throw it further than other competitors. 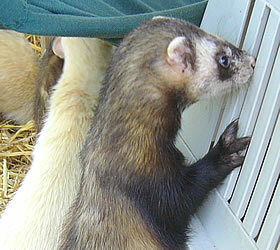 A "welly" is a slang expression for this kind of boot, and "wanging" is a slang way of saying "throwing". - Sack race: you put a sack over your feet and jump towards the finishing line as quickly as you can, trying to beat other competitors. - Three-legged race: you run with one of your legs tied to one of the legs of your friend, trying to reach the finishing line first. - Egg and spoon race: in this type of race you must balance a hard-boiled egg in a spoon while you are running, and must stop to pick it up if you drop it. - Tug o' war: two teams pull different ends of a rope. 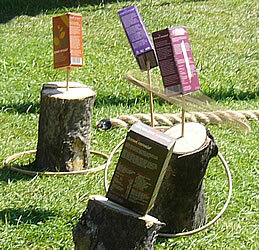 The winning team is the side that moves the centre of the rope or the front member of a team past a mark in the ground. Villages may organise a fruit and veg competition: local people show off the best produce which they have grown in their gardens, and a judge awards prizes to the best ones in different categories. There might also be a flower arranging contest. 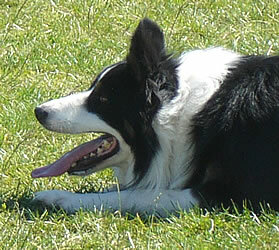 Farmers may bring some of their sheepdogs. 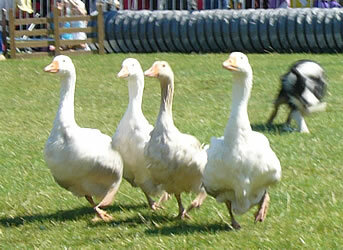 There is not usually enough space for sheep, so the dogs usually demonstrate their herding skills with farm birds such as ducks, geese or chicken. 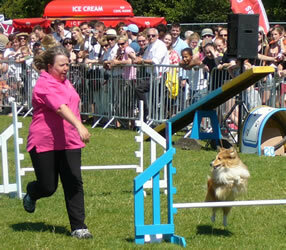 In a dog agility display you watch dogs race around a circuit. 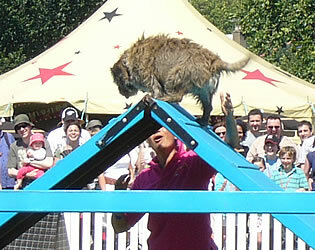 They must jump over fences, climb ramps, pass through tunnels and weave through poles, encouraged by their trainers. 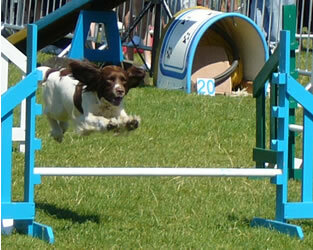 The winner is the dog which successfully overcomes each of the obstacles (in the correct order) in the quickest time. 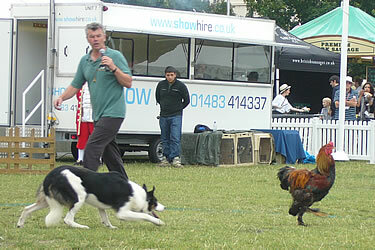 Pet shows are sometimes included in village fetes, giving owners a chance to show off their dogs, cats or horses. These are fun shows rather than serious competitions. 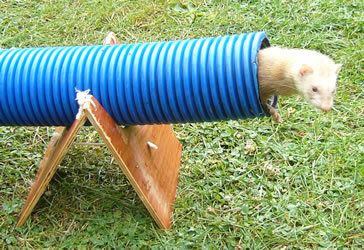 In ferret racing: you bet on which ferret will complete a course first, racing along several different pipes of the same length. 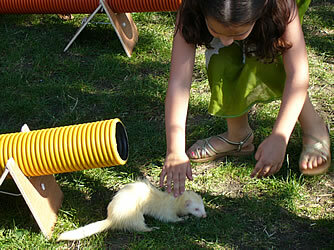 Races may also be organised between other types of small animals (for example: snails). 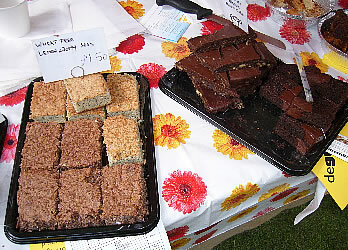 There may be a farmers' market selling fresh local agricultural produce, as well as stalls selling home-made foods such as cakes, jams or pickles. 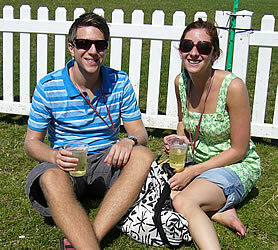 A beer tent, cider tent or tea garden may be set up. 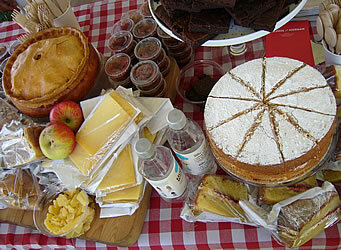 Cream teas are sometimes available. 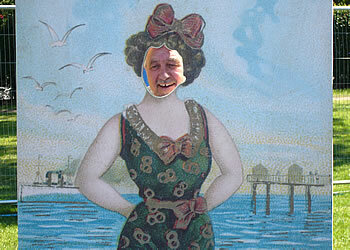 - Raffle: you buy a paper ticket with a number on it, and a copy of this is entered into a draw. Winning tickets are selected randomly and people who hold the matching copies receive prizes. If there are a lot of people entering the raffle your ticket may need to be of the same colour as the winning ticket, as well as having the same number. - Hoopla: you pay for some hoops and try to throw these over some objects. If you are successful you win that object as a prize. 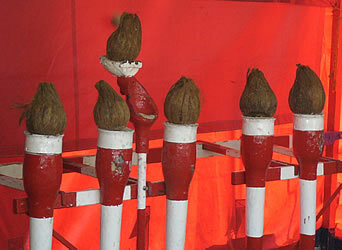 - Coconut shy: you throw a hard ball at a line of coconuts which are balanced on some stands. You win any coconut which you can knock onto the ground. - Plate smashing: you throw a ball at plates, this time not to win a prize but just to enjoy watching them break into little pieces. - Tombola: you draw a numbered ticket at random from a "tombola drum" (usually this is rotated first in order to mix up the tickets inside). You check if your ticket is on the list of winning numbers which is displayed on a board. 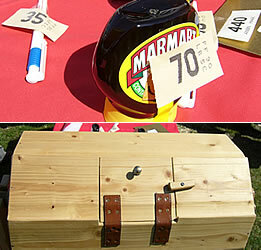 If you have a winning number you look on a table for the same ticket, and win the prize to which it is attached. - Lucky dip / bran tub: you put your hand into a big container inside which objects are hidden (usually in sawdust or bran) and take out the first object you find. You win whatever you have found. 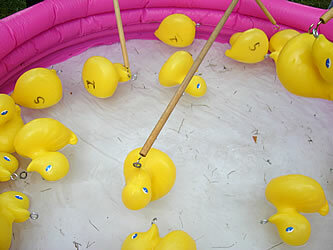 - Hook-a-duck: you use a pole with a hook or net at one end to pick plastic ducks from a pool of water. You win a prize depending on what is written under your duck. 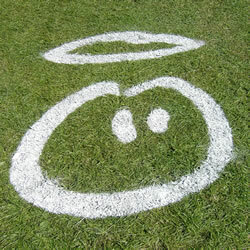 - Cowpat bingo: you draw a ticket on which is written the number of a squares area which is marked on a field. Cattle are then brought in to graze on the field. 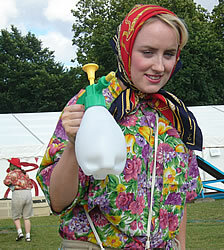 You win a prize if the first cowpat lands in your square. 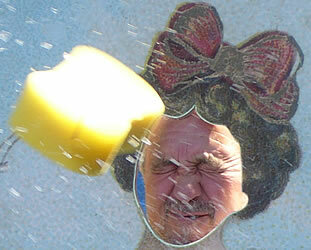 - Wet sponge throwing: you try to hit someone's face with a wet sponge, just for the pleasure of seeing that person's reactions. 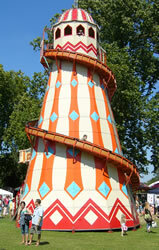 - Helter-skelter: you climb steps up to the top of a tower, then ride down to the bottom on a mat. - Merry-go-round: you sit on a swing, horse or other object and this starts to rotate round at a gentle speed. 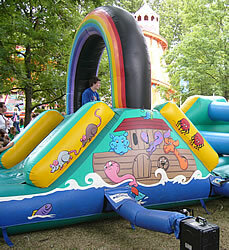 A bouncy castle is a large inflatable on which children can enjoy jumping and running around. 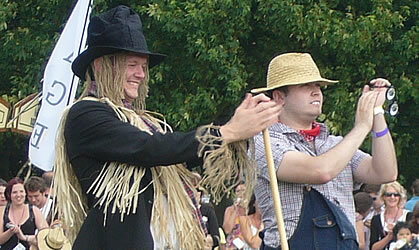 Entertainers sometimes wander around the crowd, often in fancy dress (for example: they may be dressed as a scarecrow, as a village idiot or as a clown). Alternatively, check your local newspapers or look for advertising boards in your neighbourhood.